From $ 395 $ 353AUD per night We have direct contracts with most villa owners. We don't add any booking fees. We are 100% transparent with no nasty surprises. 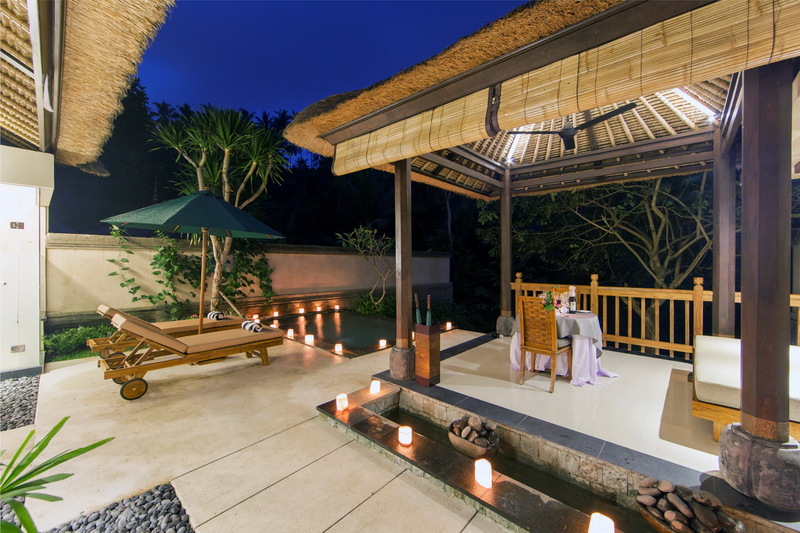 Couples or honeymoon Bali villa in Ubud - rent this now! Private pool and lovely garden area that’s perfect for sun baking. 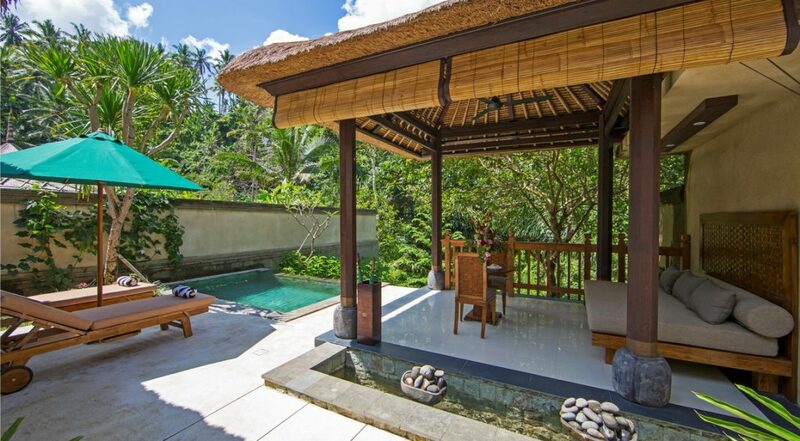 Villa The Lokha is an amazing 1 bedroom Ubud villa holiday rental located in the scenic Ubud area of Bali. 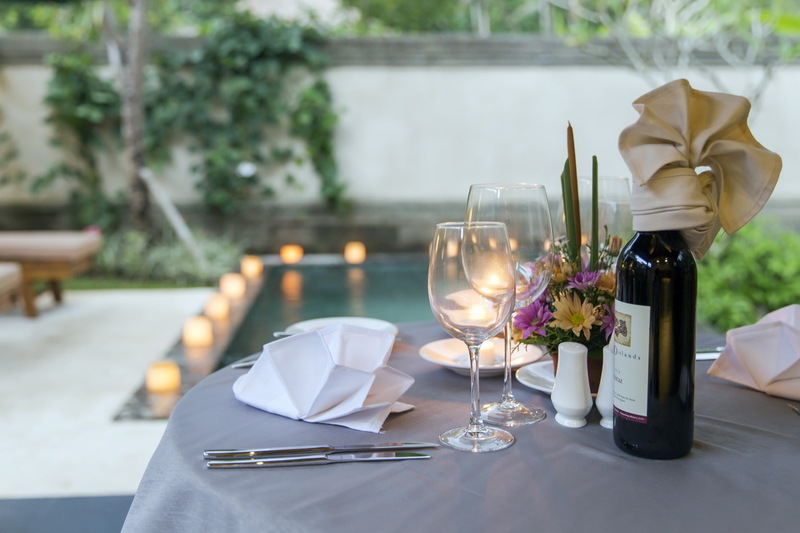 An ideal couple’s retreat or romantic getaway villa, it’s private, intimate, cozy and extremely comfortable. It is located in the village of Keliki and very close to the Wos River. 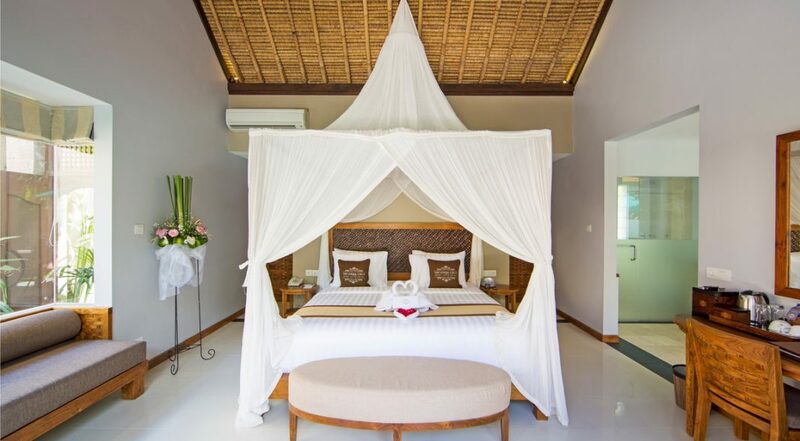 Guests of the villa will definitely enjoy its natural tropical look and feel. This is where you come to escape the rat race , reset the clock and simply enjoy being in a serene location. 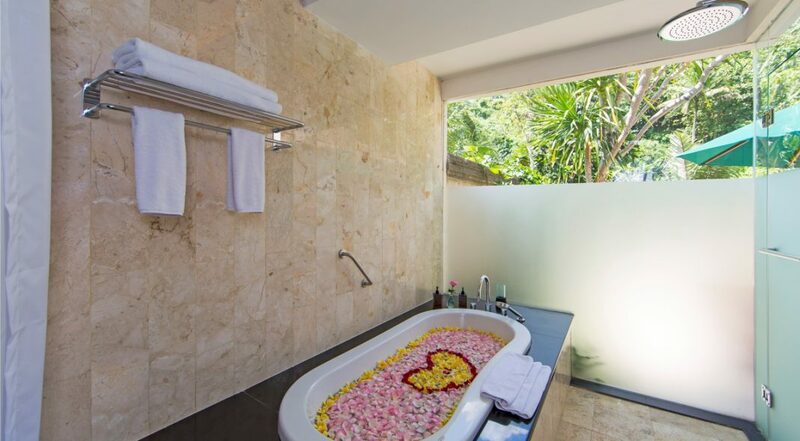 For couples wanting privacy and a touch if intimacy, this has got to be on your bucket list. The outdoors of Villa The Lokha is so picturesque that you and your loved one are bound to fall in love with it the moment you walk in. Everywhere you look, there are tall trees, exotic flowers, little water features and in the middle of all this lies the beautiful pool. On one end of the pool are two pool chairs ensuring that you and your partner can sunbathe together or stretch out and relax after a cool swim. 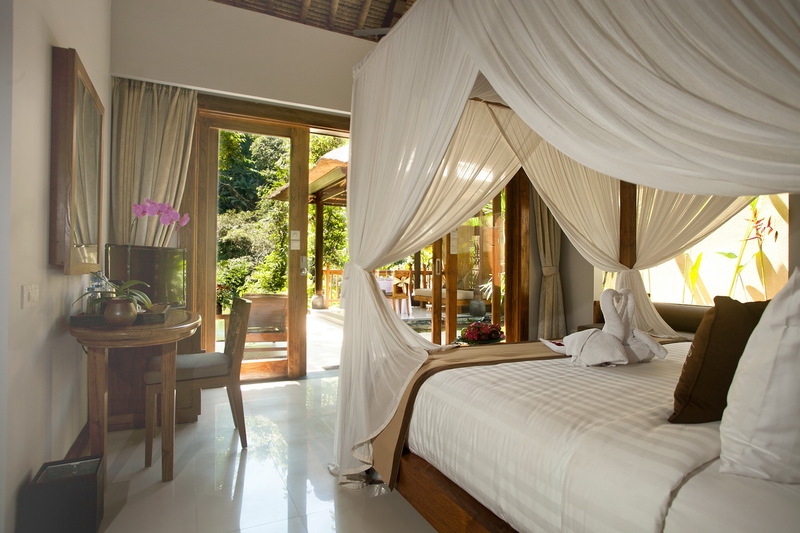 In an open sided wooden building right by the pool is the beautiful living area of Villa The Lokha. It is very traditional, simple yet stylish. Guests can roll up the woven raffia curtains to enjoy a lovely view of their surroundings from the living room or pull them down to create a more intimate and private space. 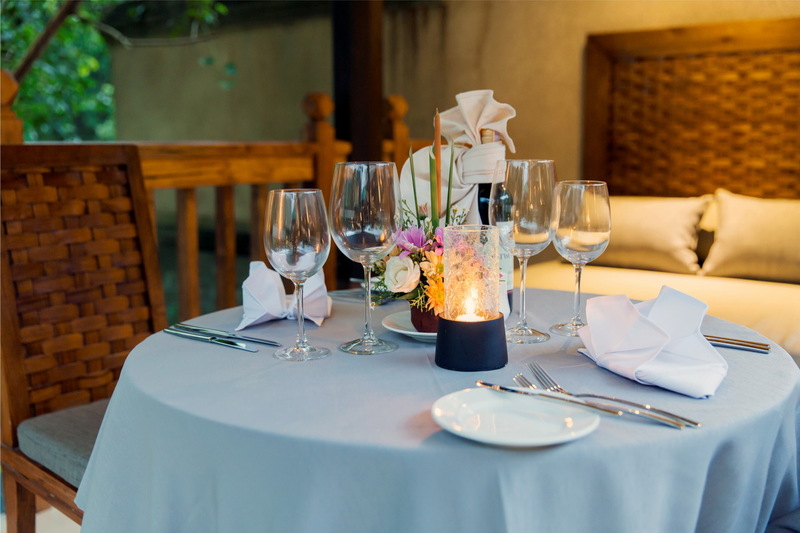 In the living room is a grey sofa bed and a two person wooden dining set where you can sit and enjoy tasty meals or romantic dinners with your partner. The bedroom of Villa The Lokha is housed in another building and it is just amazing. It has a huge poster bed, wooden table and chair, a sofa right by the window, flat screen TV and sliding glass doors leading right out to the pool. 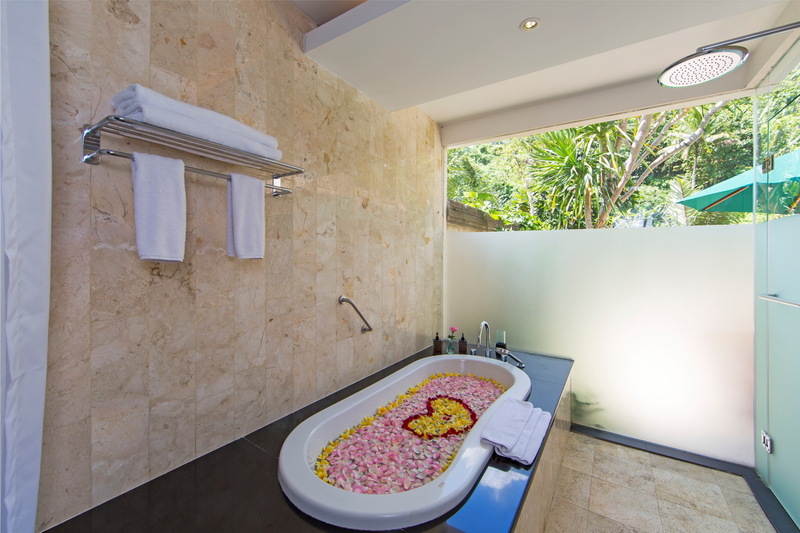 In the en-suite bathroom is a lovely tub where you can enjoy relaxing baths after an exciting day spent on the island. 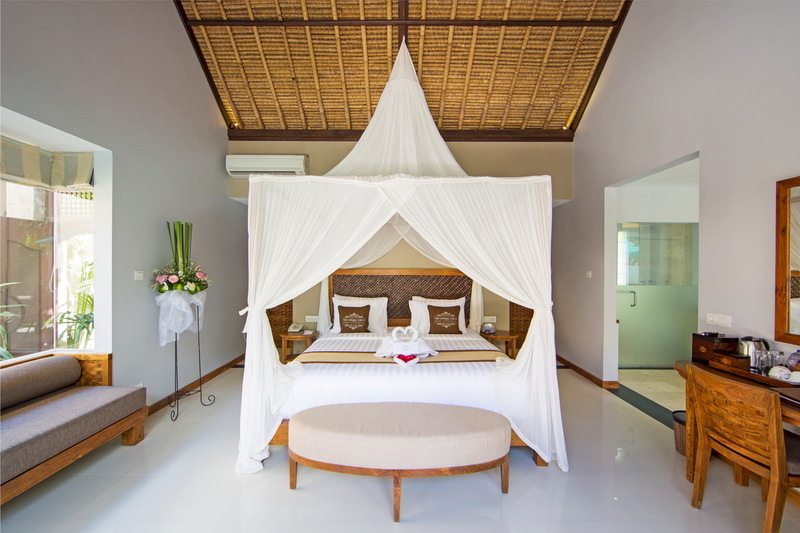 At Villa The Lokha, everything for your comfort and convenience has been thought of and provided. 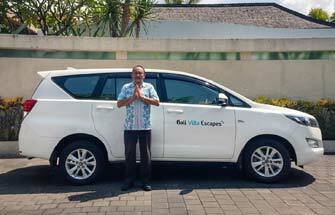 Pleasant and efficient staff is on hand to see to your needs and the villa offers a shuttle service which takes you into the lovely town of Ubud. 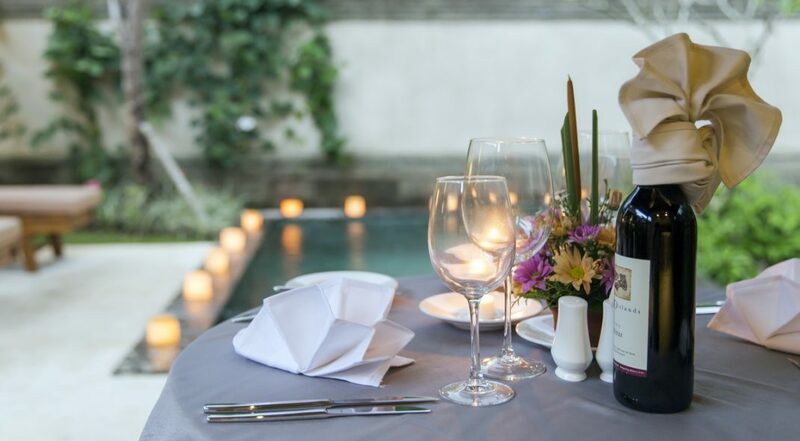 Villa The Lokha is just 15 minutes away from Central Ubud and here guests will find the best restaurants, bars, yoga studios and plenty of fabulous cafes. A must see is the Elephant Safari Park in Taro, which is not far from the villa as well as the very famous Monkey Forest. 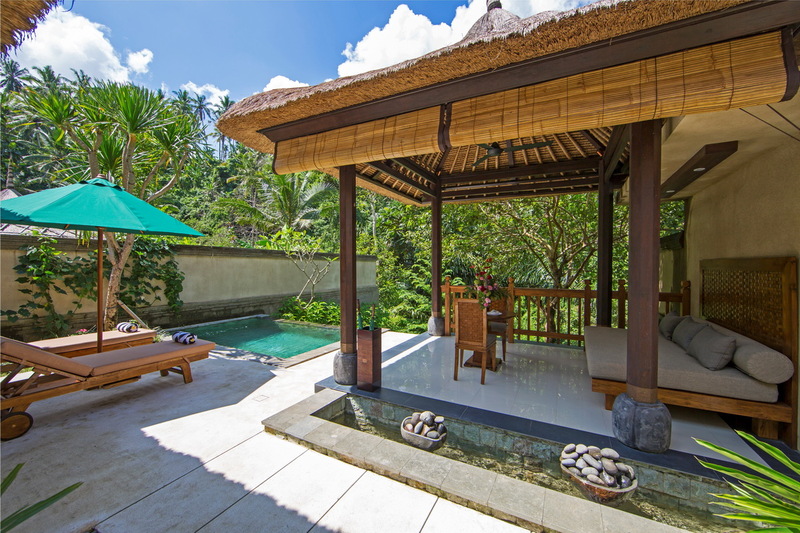 To view our complete range of Bali villas or other 1 bedroom Ubud villas make sure you browse this website or contact our reservation team. 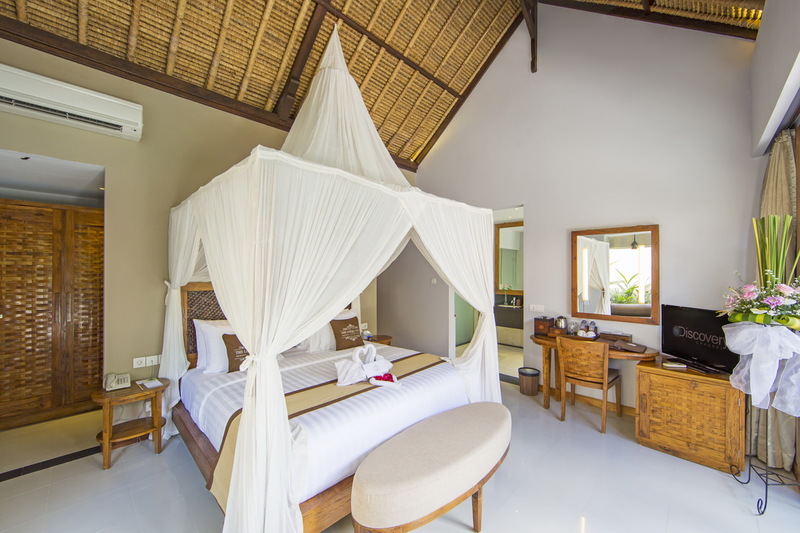 This is a popular Ubud holiday villa rental so if your planning a trip to Bali, especially during the Australian school or public holidays please book this well in advance. Perfect villa for the 2 of us. 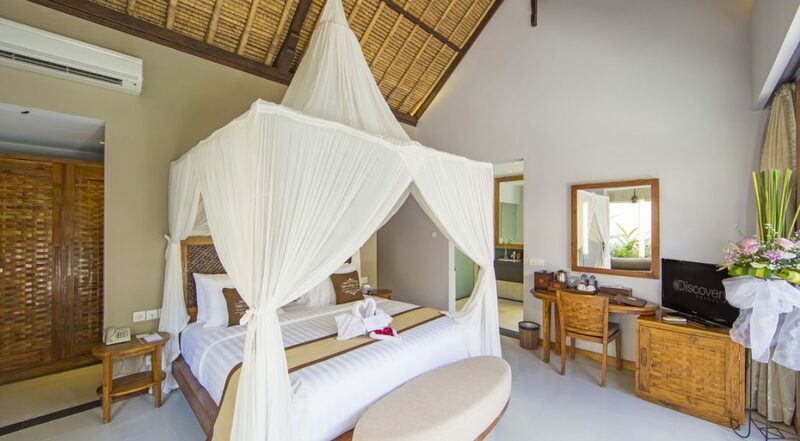 Clean, private with everything we could have wanted for a perfect stay in Ubud. Loved the swimming pool and the room. Also, getting to Ubud central was really easy. We were tempted to stay in a hotel but thought we would try staying in a villa for the first time. What a good choice!! 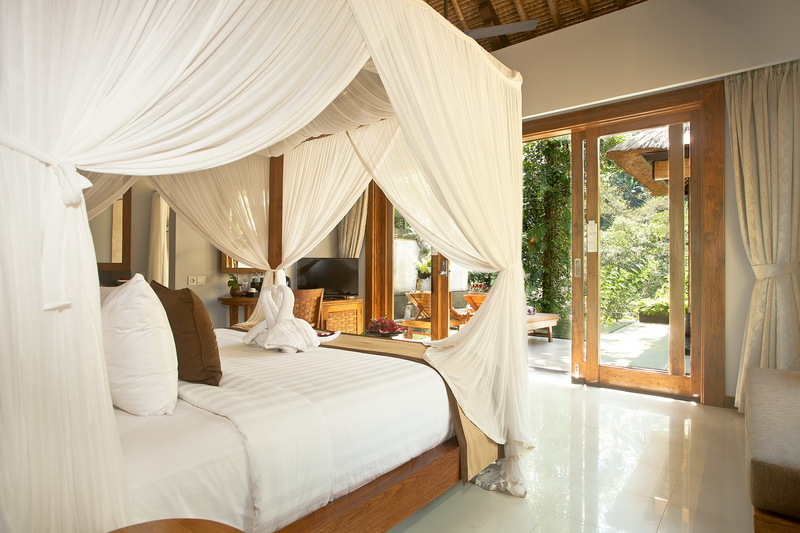 We just love the Ubud experience and this was made even better by our 8 day stay at the villa. 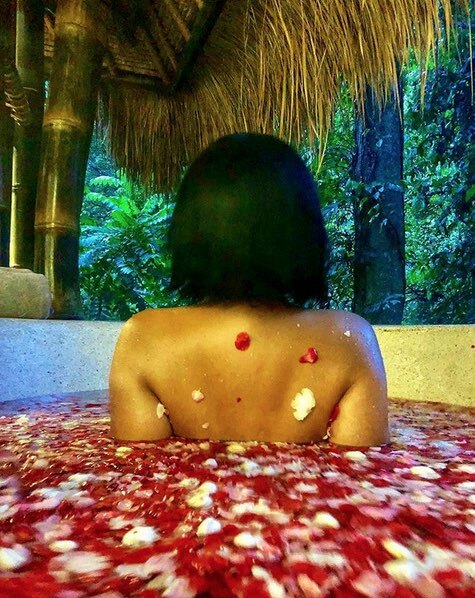 Feel so relaxed and in tune with our bodies. Really quiet and we got to see what we consider the real Bali. For us it does not get much better than this. Highly recommended and we will be returning. 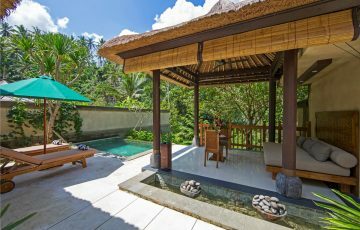 We are yoga addicts and this was the perfect villa to try out all the yoga studios around Ubud. From the day we arrived we could feel as though the stress was just melting away. A wonderful location where it was just the 2 of us and nature. Perfect escapes and I can't wait to come back here. An added bonus is the location of Lokha. We definitely didn't feel isolated as Ubud was really only 15 min by scooter away - I recommend you try to hire a scooter to get around, as it makes like a whole lot easier. If your not the adventurous type then there there was uber which was really popular. We did it a few times to get into town. Loved the friendly staff, so happy and welcoming - the rooms were clean and the breakfast was a great help before our daily excursions to sight see around Ubud and do a bit of trekking. Ideal for the 2 of us. Walking to Ubud central was a lovely stroll - you passed gorgeous ricefields and really friendly locals. A pleasant way to get there. Villa was idyllic; peaceful, charming, modern and clean. Love being here.